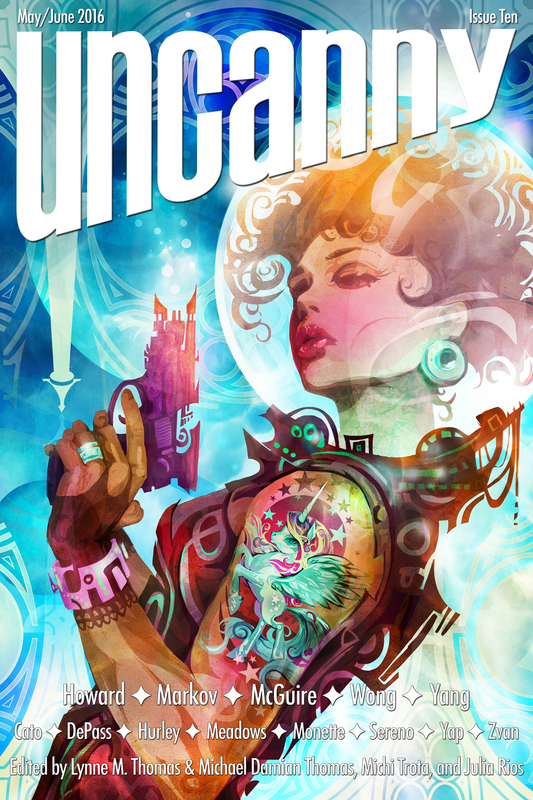 Uncanny Magazine Issue 10 Cover and Table of Contents! Coming May 3, THE TENTH ISSUE OF UNCANNY MAGAZINE!!! The free online content will be released in 2 stages- half on day of release and half on June 7. Don’t forget eBook Subscriptions to Uncanny Magazine are available from Weightless Books, Amazon Kindle, and you can support us on our Patreon. Huge news! There will be a Weightless Books Uncanny Magazine Subscription Drive from May 3-17! $2 off for a year of Uncanny, plus swag and giveaways! More details here and on the Weightless Books website next week!